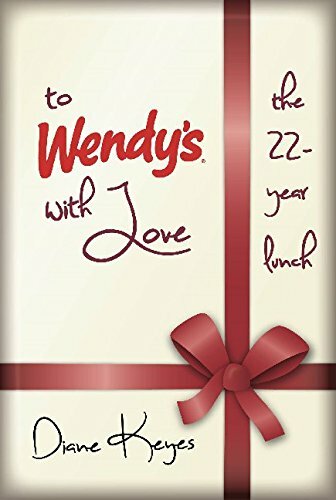 “To Wendy’s With Love” by Diane Keys is a read that will knock readers over right from the very beginning. For years Diane’s family had a “no talk” rule, and until the pain of broken trust, a fractured family and assumptions stopped, misery would continue. As a small child, Diane had a brain hemorrhage. No one would talk about it then, and it continued until she got fed up and decided to talk to her mother about how she felt. Scary as it is to take that step, one will never know the possibilities until it occurs. It began with one invitation to lunch and started a road to healing and improved communication. Reading these events unfold reminded me of my fractured family and the impact of how no communication hurt us all. We often as individuals wait for the other person to take the first step and sometimes it never happens. This read touched all my emotions, and my guilt was coming out full force. I can honestly say, just as Diane does, it is a healing process and it is scary. I think of the years that passed that I didn't talk to my mom about my hurt and anger when I was burned at the age of 5, and she wasn’t there to comfort me, little did I know she was feeling guilty. “To Wendy’s with Love” teaches each of us to reflect on family connections, what we can do to change things and look at relationships as a whole and not just from our perspective. Many in Diane’s family said, “Let sleeping dogs lie.” The lunches at Wendy’s meant quality time to listen, laugh and heal. Today the number of tables has increased, as more and more extended family members attend. Reading “To Wendy’s with Love” by Diane Keys, I felt like one of the family; accepted and loved for who I am, and I will tell you it is a real eye opening read. Celebrate what you have, not what you don’t have. Live every day as if it is your last. I loved this story. It provides hope and strength. It is so different from what I expected.